There is nothing I love more than the smell of a new leather bag. Or the feeling of immense happiness when you walk along swinging a new number from the crook of your elbow. Handbags just make me happy. And this beauty from Alexander McQueen is no exception. Allow me to introduce you to the Heroine bag. Isn’t she a delight? 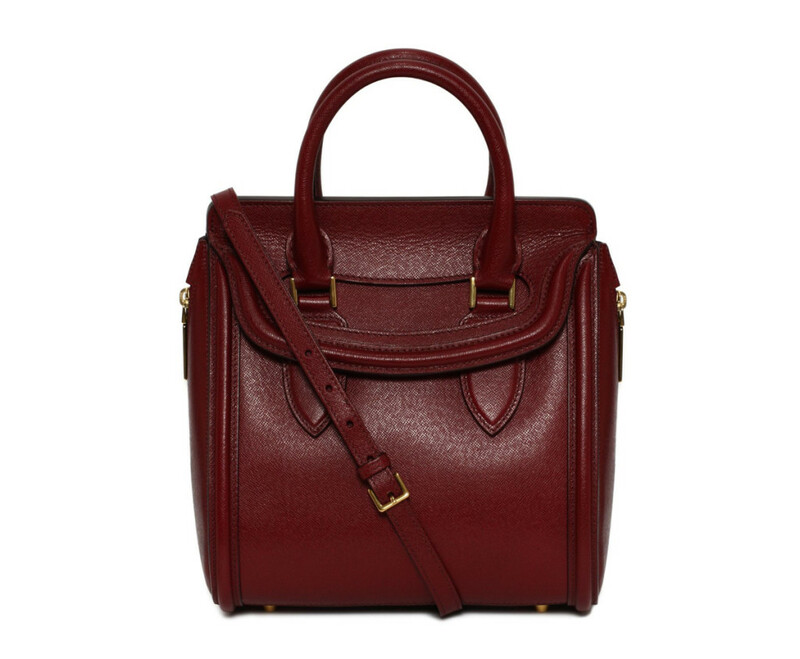 This structured, calf leather, expandable, deep burgundy beauty is the grown-up arm candy I’ve been lusting after. I love the rounded edges, the hefty handles and the cover flap. This would look perfect with the my ginormous faux-fur scarf and Burberry trench. I’ve just gotta get saving because at £1,395 it’s not cheap but oh so worth it.